Do you need an IT service provider to manage your Office 365 subscription? The business case for deploying Microsoft Office 365 across your organization is compelling. Depending on the subscription plan you choose, your staff gets to use feature-rich desktop versions of much-beloved productivity apps such as Word, Excel, and PowerPoint, basic-but-highly-useful web versions of those apps, plus other handy storage, communication, and collaboration tools such as OneDrive, Exchange, and SharePoint. If you’re apprehensive about shifting to Microsoft’s cloud-enabled productivity platform, you can use the services of a managed IT services provider (MSP). That provider can help you pick the right plan based on your organizational goals. The MSP can also handle deployment tasks such as systems configurations, account setups, and data migrations so that the transition to Office 365 is smooth, with minimal disruptions. However, once Office 365 is up and running, would you still need an MSP to manage your subscription? Here’s our reasons why the answer to that question is a resounding yes. Letting your staff figure out Office 365 on their own — literally leaving them to their own devices — is not the most productive way to use cloud-based productivity apps. An MSP can help your IT department create onboarding strategies that make the best use of the extensive documentation and training materials that Microsoft provides. A reliable MSP has the technical expertise to integrate your existing or under-development line-of-business applications with Office 365. However, don’t think that you can do away with your MSP after a successful integration. Since Office 365 is continually updated, you will most likely need to have your integrations updated as well to maintain seamless operations. 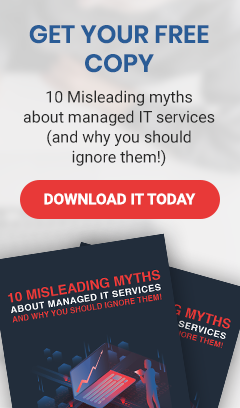 It’s easy for regular IT staff to drop the ball on this, be it due to their lack of expertise or manpower capacity, given the scope of what they have to deal with on a daily basis. However, MSPs are vigilant and equipped with the necessary tools to handle such updates in a timely manner. While Office 365 has security measures in place to help keep your data safe from unauthorized access, these measures do not absolve you from your share of the responsibility. Controlling who has access to data and what they can do with it is still up to you. An MSP can help you implement the most effective policies and cybersecurity measures to ensure your data remains safe from malicious hands. Additionally, gold-standard MSPs monitor your Office 365 environment 24/7/365 and proactively protect it against hackers and other threats that can cause costly downtime. Beyond this, more advanced MSPs like USWired can help you comply with industry- and region-specific regulations as you use Office 365. You can rely on such providers to help you adapt to shifting legal landscapes. A reputable MSP knows the importance of using multiple cloud services and remote backups to ensure quick and reliable fallbacks in case of data loss incidents. You need an MSP to incorporate business continuity and disaster recovery strategies when implementing Office 365. As your business grows, so does its needs. When setting up new locations necessitate the creation of new data centers, your firm can turn to Microsoft Azure for help. Azure naturally goes together with Office 365, but to optimize both, it is best to rely on the expertise of an MSP so you can remain laser-focused on building your business. Of course, Microsoft has an excellent support team that handles concerns regarding Office 365 quickly and thoroughly. However, proactive MSPs can provide specific insights and solutions to your particular organizational concerns, such as when and how to scale your Office 365 subscription up or down, or how to streamline productivity services across departments or acquired companies. To unlock the full value of your Office 365 subscription, turn to USWired. Drop us a line to learn how you can make Office 365 your best investment yet.